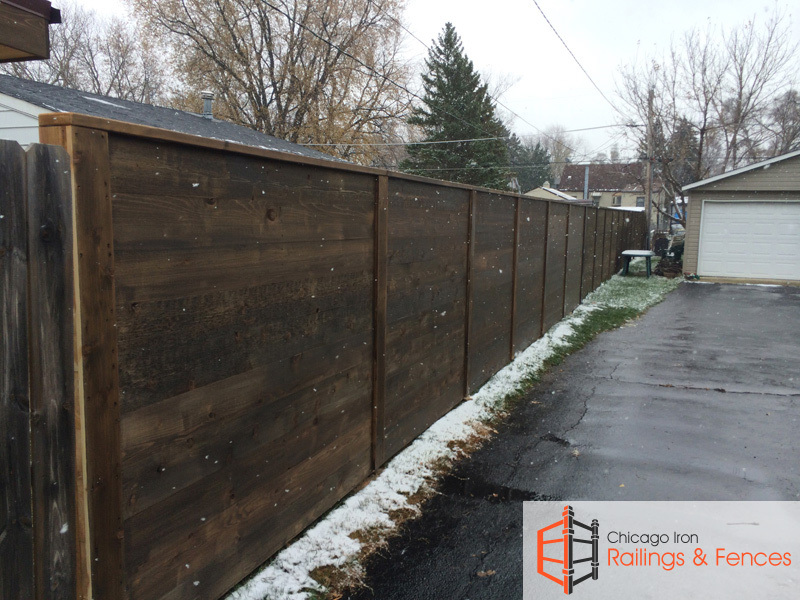 Many owners of homes and businesses appreciate the natural beauty of wood fences for their exterior security needs, and Chicago Railings and Fences is the Chicago wood fencing company that has the highest quality wood fencing and expert installation to handle whatever project might you have in mind. 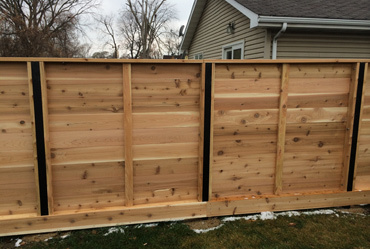 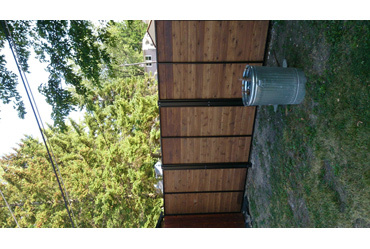 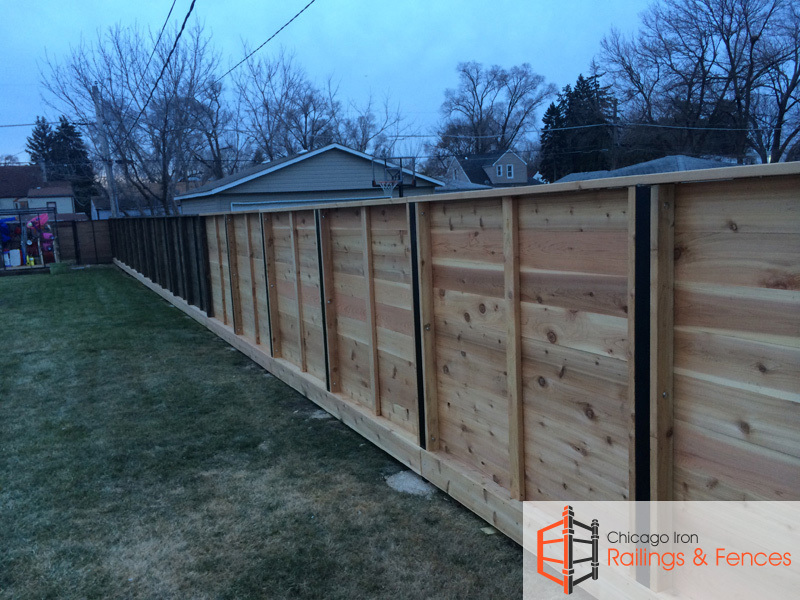 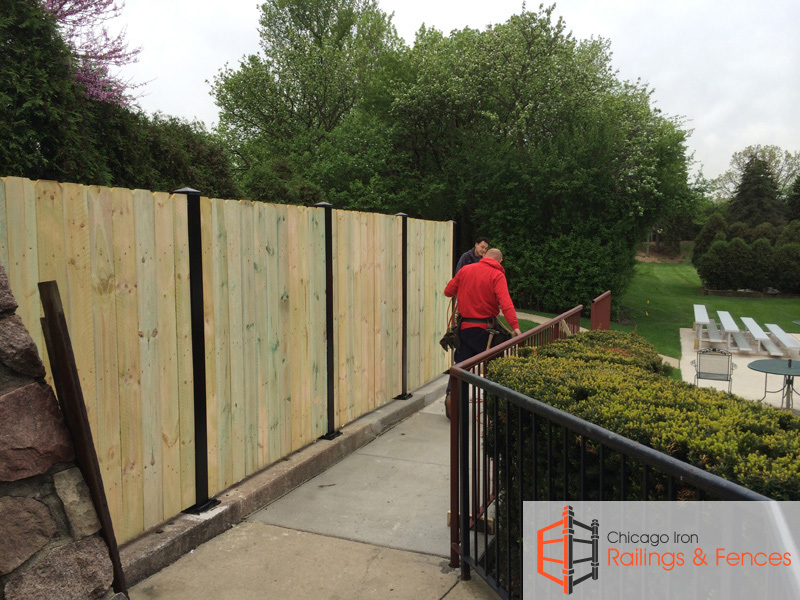 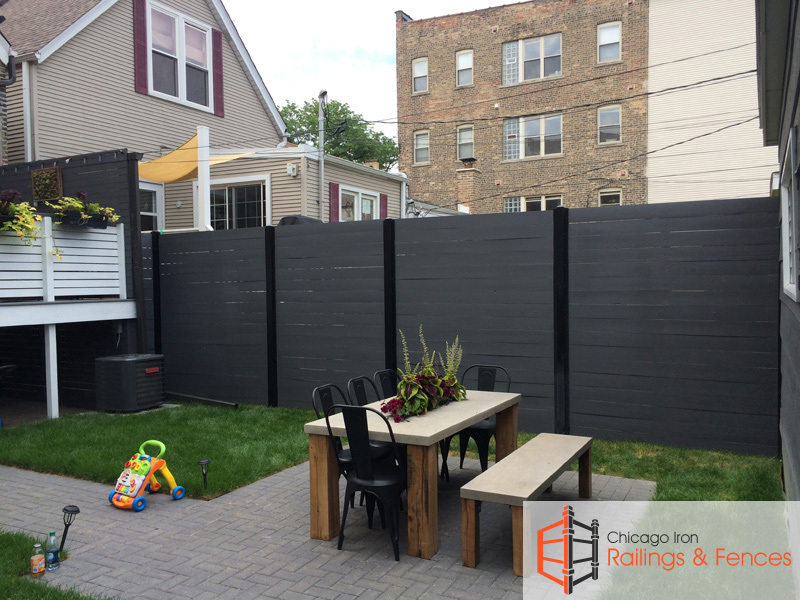 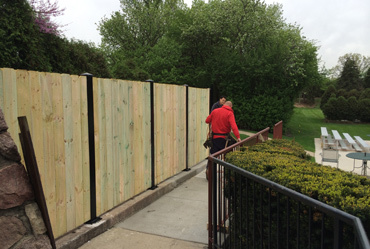 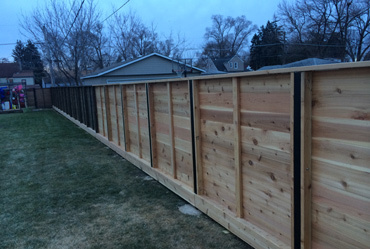 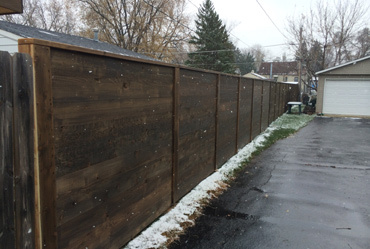 We are a Chicago wood fence contractor that will go the extra mile to ensure that you have exactly the kind of Chicago wood fence installation that makes you happy and provides the security you want for your corner of the world. 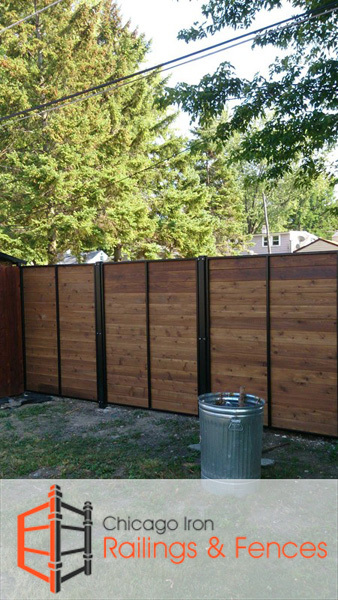 When we make your property look great, it makes us look great too, so we strive to make every installation our best work and every wooden fence our best product. 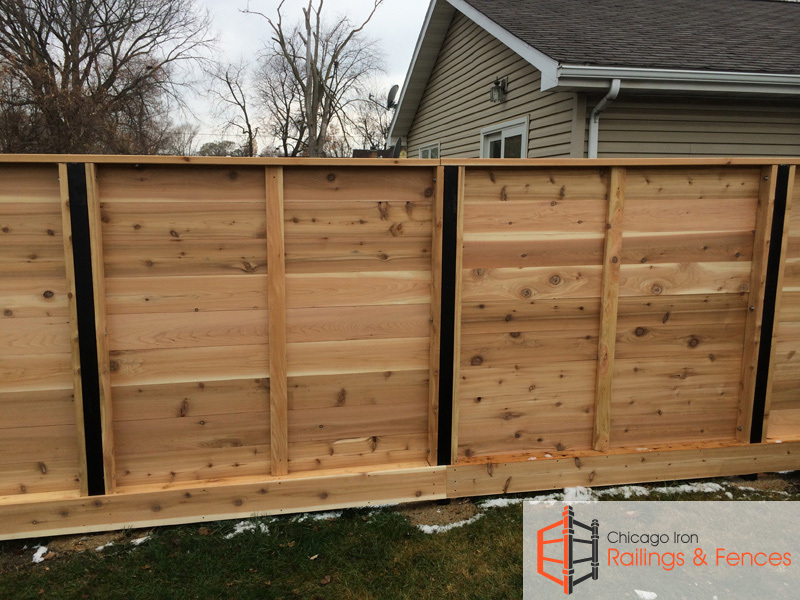 If any sprucing up is ever called for on your fencing, we also do Chicago wood fence repair work to keep things looking their best. 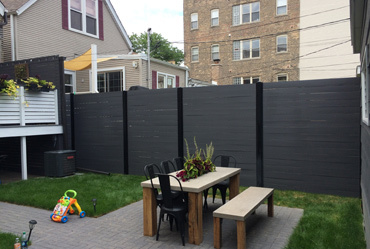 For those who like the contemporary look of vinyl, we are a Chicago vinyl fence contractor who can help you choose the style and size that best fits your circumstances, and we will provide expert installation to ensure it looks great and stays in place for as long as you want it to be there.